This story is part of a series looking at a shortage of black and Hispanic teachers and ideas for recruiting more to the profession. Other stories in the series look at schools that are recruiting from their own alumni to increase diversity and a traditional teacher education program focused on recruiting Hispanic teachers. NEW ORLEANS —Educator Kristi Walton was born, bred, and trained as a teacher in her hometown of New Orleans. She attended the city’s Audubon Montessori School and Benjamin Franklin High School, where she took an introduction to teaching class at the age of 17. She also learned from her mother, who spent more than 30 years teaching at New Orleans’ John McDonogh High School. Walton earned a master’s degree in early education at the University of New Orleans, and has been teaching kindergarten at Langston Hughes Academy since 2008. In New Orleans, a city that relied heavily on young teachers from out-of-town to staff its schools after Hurricane Katrina, Walton’s career path has become increasingly rare. That’s partly because several of the local training programs that provided a pathway into teaching for Walton and countless others no longer exist. Indeed, in the years after Katrina, both supply and demand for locally trained teachers ebbed, and the loss of local training programs contributed to a dramatic racial shift in the teacher workforce. 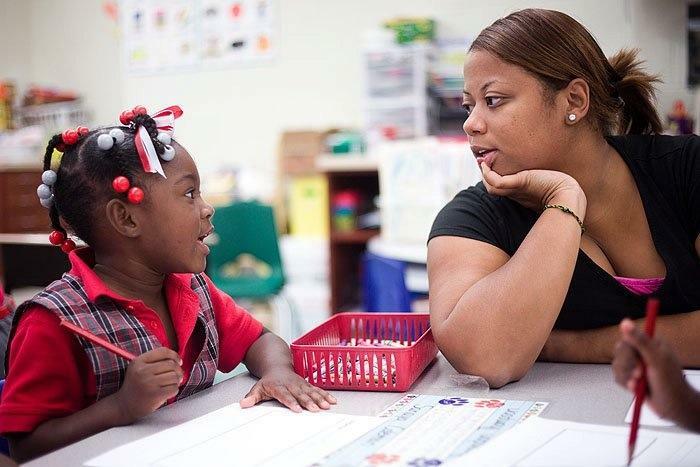 During the 2003-04 school year, black teachers accounted for 72 percent of New Orleans’ educators. By 2014, they made up only 49 percent. And the proportion of teachers who attended college in the city, a rough measure of the number of teachers with local roots, also declined precipitously, falling from 60 percent in 2005 to 34 percent in 2014. In fact, research shows several benefits to hiring teachers who reflect the racial and cultural diversity of their students, including better student outcomes. That’s part of the reason that in New Orleans, black and local teachers have become a more sought-after bunch in recent years. But the local supply of locally trained teachers has dried up as Louisiana officials have slashed state higher education spending by nearly 40 percent since 2008, with yet more cuts on the horizon. According to the nonpartisan Center on Budget and Policy Priorities, only Arizona and Illinois have cut higher education spending per student more. Fiscal issues have devastated the city’s largest education school at the University of New Orleans (UNO). In 2015, UNO granted 48 bachelor’s degrees in education, down from 136 in 2003. The university has also made steep cuts to its master’s degree offerings. In 2014, the university eliminated special education and early education teacher training programs in an effort to balance its budget. And, in July, the university merged its stand-alone education school into its liberal arts college. Private schools have also been affected. Loyola University New Orleans shuttered its education department in 2006, although the school still offers a program for aspiring music teachers. Dillard University, a historically black college, stopped offering education degrees in 2010 and said it would instead work with the state-run Recovery School District to provide an alternative route into teaching for its students. That initiative never got off the ground, however. Over much of the same time period, local universities also saw a steep decline in demand for their education graduates. In the months after the hurricane, all 4,600 of the city’s public school teachers were fired. The state took over the vast majority of the city’s schools and eventually converted all of those schools into publicly funded, privately run charter schools. Some of those schools hired back only a few of the fired educators, choosing instead to rely heavily on uncertified teachers and candidates from alternative programs like Teach For America (TFA) and The New Teacher Project, which operate nationally. The majority of those teachers were white and new to the profession. The percentage of New Orleans educators with teaching certifications dropped from 79 percent in 2004 to 56 percent in 2013, according to a report by Education Research Alliance New Orleans. And between 2005 and 2014, the number of New Orleans public school teachers who had attended college in the city declined by more than 40 percent. Renee Akbar, the chair of the education division at Xavier University, said that enrollment has been down since Katrina, in part because of charter schools’ strong embrace of alternative preparation programs like TFA. Brian Beabout, an associate professor of education at UNO, said he thinks there was a bias after Katrina against teachers from the traditional teacher training programs. But that bias has subsided more recently, he added. “Initially, charter leaders were looking for ‘mission alignment’: Were you on board to do whatever it took to get kids to pass tests and go to college, even if it meant staying until 8 p.m.?” he said. “But now a lot of those charter leaders … are talking more about sustainability.” And to increase “sustainability,” it’s imperative to hire more local teachers with roots and connections to the city, he argued. There’s a very practical reason to hire teachers with local roots: They are far more likely to stay around. This isn’t just a New Orleans phenomenon; One recent study found that teachers who studied education in college are far more likely to stay in the profession. New Orleans’ teacher turnover has been up significantly since Katrina. During the 2003-04 school year, black teachers accounted for 72 percent of New Orleans’ educators. By 2014, they made up only 49 percent. Across the country, many urban school districts are recognizing that they need to hire teacher workforces that better reflect the diversity of their students. The academic benefits to students of having a same-race teacher have been well documented. Beyond serving as role models, these teachers are better able to make lessons culturally relevant and often have an easier time building relationships with students and parents. In New Orleans, 89 percent of public school students are black and many of the white teacher newcomers have struggled to connect with students. In the last couple of years, some New Orleans policymakers and school leaders have begun looking for ways to partner with local teacher training programs — partly in an effort to regrow the number of black teachers. The Louisiana education department has been using Believe and Prepare grants (state money intended to spur partnerships between schools and teacher preparation programs) to entice New Orleans charters to collaborate more with local universities. Xavier University has been using these grants, and other funding, to create a new program whereby current Xavier students spend yearlong residencies teaching alongside mentor teachers at local charter networks. The hope is that the Xavier students will then be able to work full-time in those same schools after they graduate. Participating charter networks include KIPP, New Orleans College Prep and FirstLine Schools. According to Xavier’s Akbar, just about half of her students are from the New Orleans area. Currently, the vast majority are finding teaching jobs in the suburbs of New Orleans after graduating, a trend she said started after Katrina, and one that she hopes will change with the residency program, which is still in the planning stages. Ben Kleban, founder and president of New Orleans College Prep, a network of four charter schools, admits that he came late to recognizing the importance of recruiting local talent — from local universities. Another charter network, ReNEW Schools, used a Believe and Prepare grant to start a similar residency program with Tulane University, in which students spend a year teaching alongside a mentor educator. Amber Morgan, the director of quality review and professional learning at ReNEW, said they decided to work with Tulane because the university already had residency programs in other city schools. But there are limitations: None of the Tulane residents are from New Orleans, so it’s not a good vehicle for increasing the number of homegrown teachers. Morgan said she hopes to expand to work with other universities, like Xavier, which enroll more students who grew up in the city. There’s also the Honoré Center for Undergraduate Achievement at Southern University at New Orleans, a public historically black university. That program is giving financial and academic support to black men who graduated from local high schools. While at SUNO, they must either major in education or complete 12 hours of education courses and then enroll in an alternate teaching certification program after graduation. In return, they promise to teach in New Orleans for at least two years after completing their degree. The program, which is in its fifth year, only takes in a handful of students each year. The trickle of education graduates from local universities presents a huge hurdle to rebuilding a more local teaching force, said Luis Mirón, who directs the Institute for Quality and Equity in Education at Loyola University New Orleans. Mirón added that these new initiatives, particularly the Xavier University residences, offer promising but limited solutions to the problem. “The prognosis for bringing some balance to the teaching force over the next few years will depend on how well all of these nonprofits and school leaders work together,” he said. 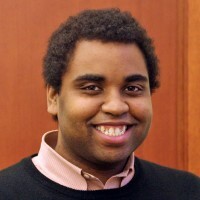 Andre Perry, a frequent columnist for The Hechinger Report and a former associate dean at the University of New Orleans’ education school, is more optimistic about the future of university programs, particularly since Bobby Jindal is no longer Louisiana’s governor. Jindal initiated many of the steep cuts to higher education institutions. Beabout, the UNO professor, thinks that the city’s education schools can rebuild, but that the new teacher programs will only win out over alternative certification programs like TeachNOLA on quality. Many see these programs as key to rebuilding a more stable teacher pipeline and providing New Orleans’ students and parents with the kind of consistency found elsewhere. Walton, the kindergarten teacher at Langston Hughes, thinks she’s found a school that is building those kinds of relationships with families. Mr. Felton's article is insightful and suggests an opportunity for further exploration of the external forces targeting teachers. Minority teachers lost their anticipated pensions, after the Katrina firings. That loss will have devastating effects in the minority community for generations to come. The separation of the pension issue from the siege against teachers ignores one of the prime motivations of the self-anointed education reformers. Teachers' pensions are among the largest funds available for financial management. Big Wall Street firms have been shut-out from fees for the management of those funds. They want direct access to individual retirement savings. If the profession of teaching and pensions are privatized, Wall Street billionaires can tap a new pile of cash. IMO, it is incongruous for think tanks like the Urban Institute to have pension projects funded by the Arnold Foundation (Arnold's position is similar to that of the Koch's State Budget Solutions). And, we should all cringe when ed articles buy-in to pensions as the cause of tight education budgets. The economic multiplier effect of pensions spent in local communities has substantial beneficial effect. On the other hand, concentrated wealth and the Koch's starvation of funds for common goods has lethal effect on education for the 90%.